1. 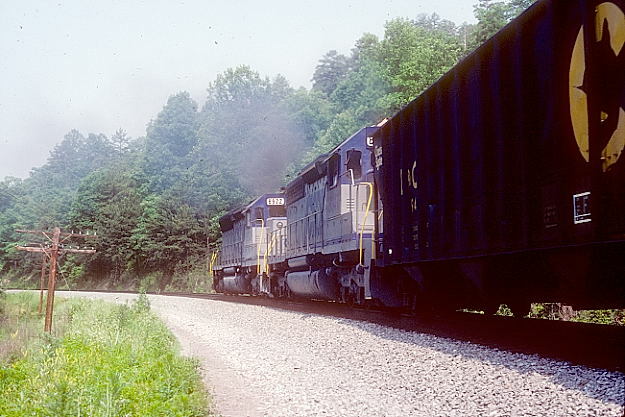 CSX SD50s 8549-8546 with SD40-2 8211 and GP38-2 2596 get a run at Crooked Hill at Hazel Patch on 5-1-88. 2. 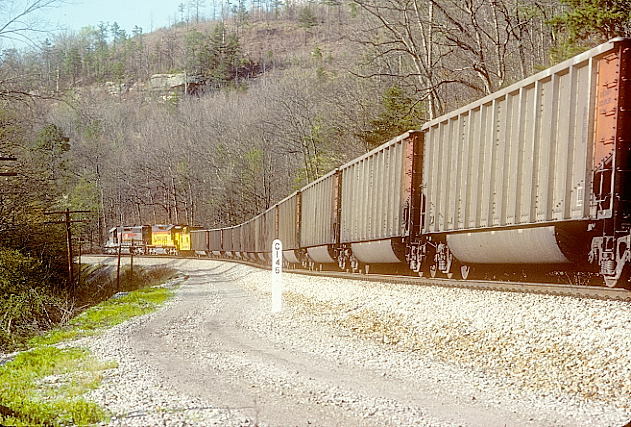 This southbound coal train of SJRX tubs is heading for Jacksonville Electric Authority. 3. 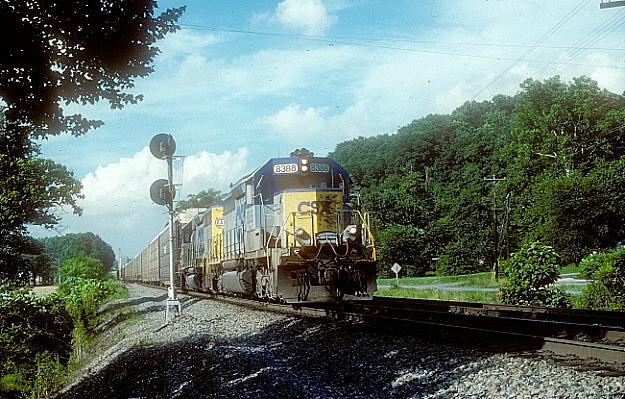 CSX pushers 8379-8041 behind C&O mine run cab 900203. 4. 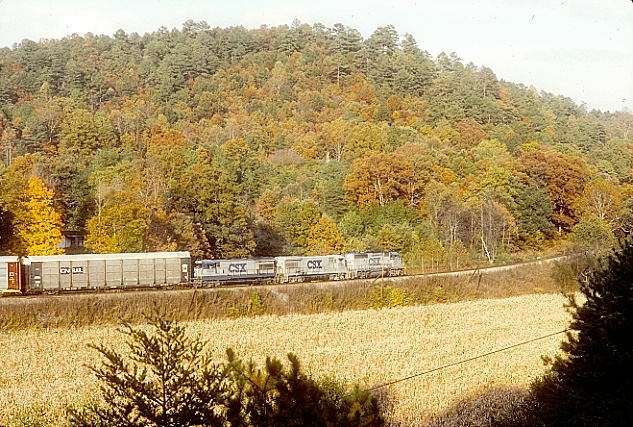 CSX 6107-5750-5732 head southbound multi-level train R215 at Hazel Patch on 10-21-90. 5. 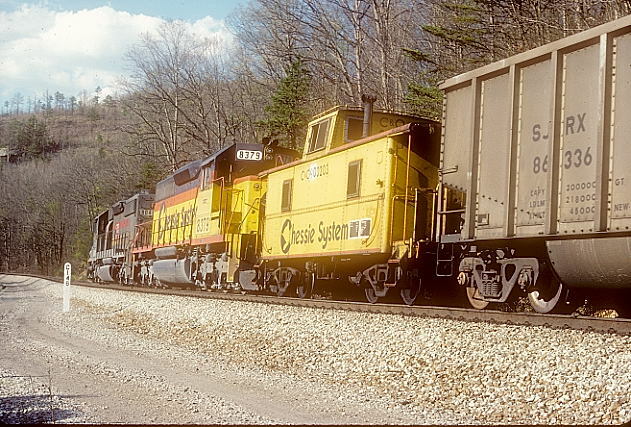 CSX 6107-5750-5732 head southbound multi-level train R215 at Hazel Patch on 10-21-90. View 2. 6. 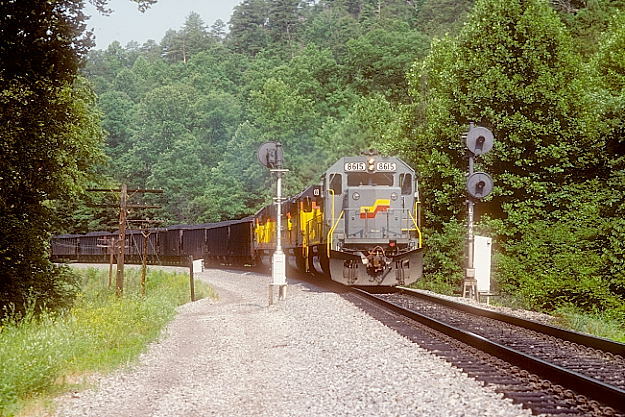 CSX SD50s 8615-8573-8574 assault Crooked Hill with a southbound Corbin-bound coal train from Ravenna. 6-19-88. 7. 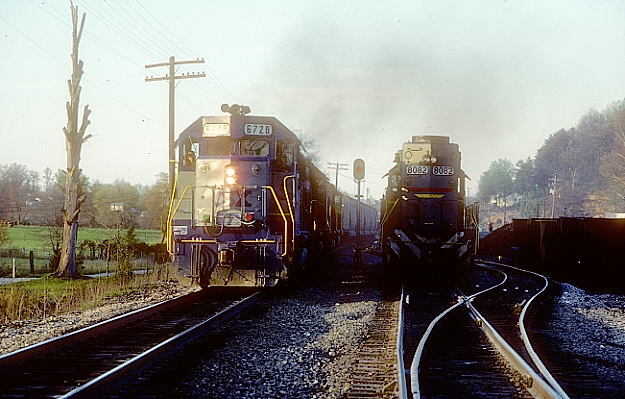 An SD40-2 and SD45 8922 shove hard. 8. Tunnel 7 is up around the curve. 9. 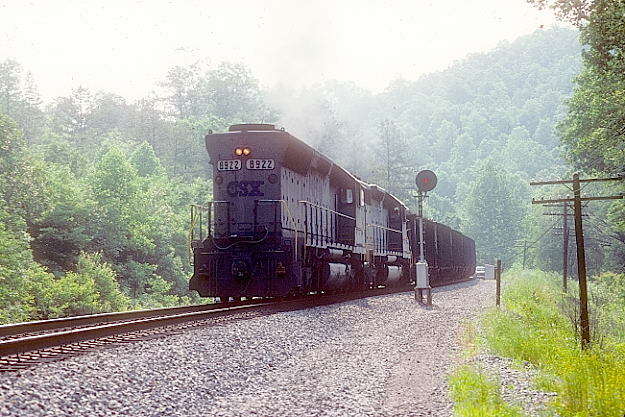 CSX F's 116-117 top Crooked Hill at East Bernstadt with southbound "Roadrailer" R211. 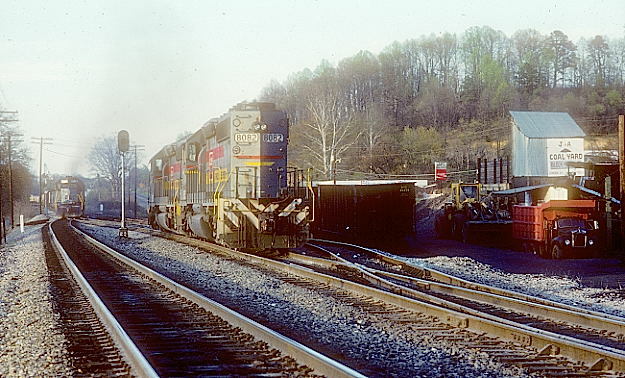 The train has 60 trailers this 6-19-88. 10. 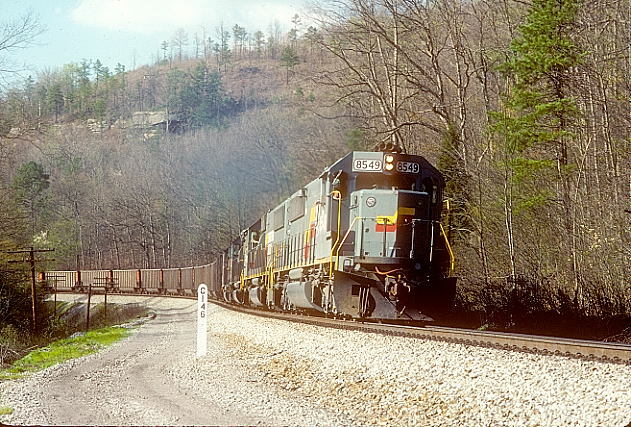 Helpers 8092-8109 have helped R545 up Crooked Hill and pull into the clear at the north end of Bourne passing siding near East Bernstadt on 4-17-88. Denham & Lewis Coal Processing is on the right. 11. 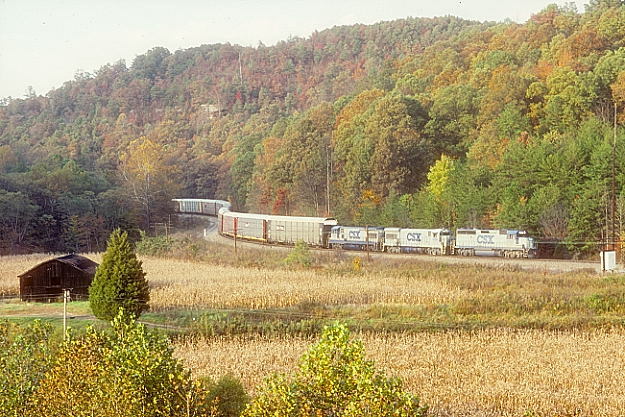 Southbound freight R545 roars by behind 6728-8612-2641-8250 with 109 cars. 12. 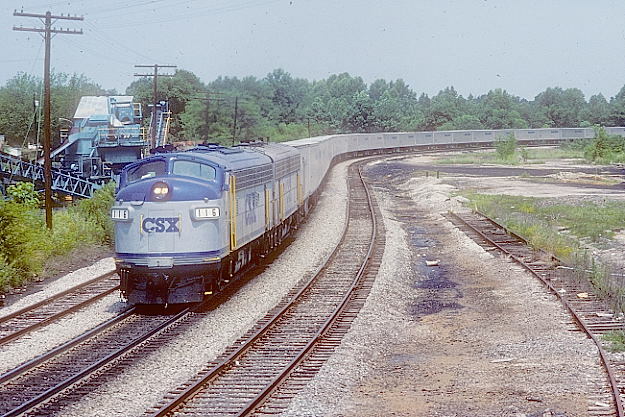 CSX SD40-2s head southbound multi-level train Q245 (Detroit-Jacksonville) at North Bourne on 6-13-04. 13. 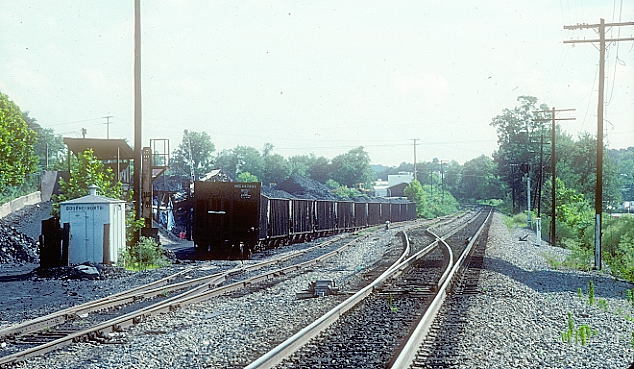 Denham & Lewis Coal Processing near East Bernstadt. The north end of Bourne passing siding begins in the foreground. 6-13-04.